Lodi, Calif. - The Lodi Police Department Traffic Unit announced they will be be conducting a DUI/Drivers License Checkpoint on Friday April 14. The Checkpoint, which is designed to take impaired and unlicensed drivers off the road, will be conducted at an undisclosed location within the city limits between the hours of 7 p.m. and 3 a.m Saturday. Officers will be looking for signs of alcohol and/or drug impairment. Officers will also be checking drivers for proper licensing, delaying motorists only momentarily. When possible, specially trained officers will be available to evaluate those suspected of drug-impaired driving, which now accounts for a growing number of impaired driving crashes. Drivers caught driving impaired can expect the effects of the arrest to include jail time, fines, fees, DUI classes, license suspensions and other expenses that can exceed $10,000 not to mention the embarrassment when friends and family find out. Funding for this checkpoint is provided to the Lodi Police Department by a grant from the California Office of Traffic Safety, through the National Highway Traffic Safety Administration, reminding everyone to ‘Report Drunk Driver – Call 9-1-1’. 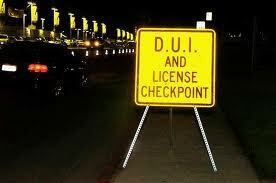 No Comment to " Lodi Police To Conduct DUI, License Checkpoint This Friday Night "